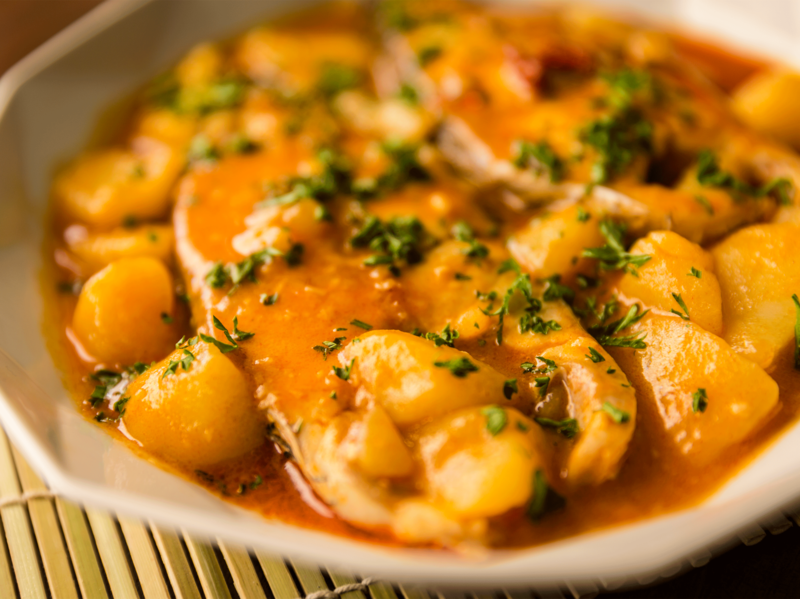 Peel and cut the potatoes in an irregular shape and laminate the garlic. Sauté the garlic and almonds until golden and grind them together with a mortar. Now, lightly fry the sweet paprika and the chilli peppers. Add the fish broth and the potatoes. Cook for 10 minutes. Season the Corvina to taste and slow cook it for 20 min. all together with the crushed garlic and almonds. Chop the parsley to sprinkle once dished up.